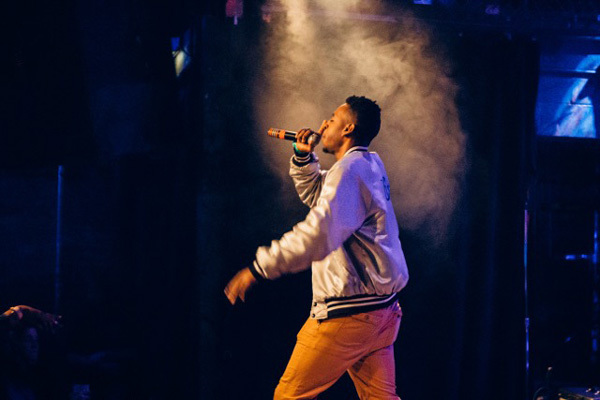 After performing in Sargent Dining Hall his sophomore year and opening for B.o.B in Chicago his junior year, McCormick senior Randall Harris, or “Prez Harris”, has earned his spot on the Dillo Day main stage. “We just hadn’t done the biggest stage at Northwestern, and we really wanted to do that,” he said. Harris and his band Prez Harris & Friends, along with DJ duo “Onnij & Ouyang,” will be performing alongside national and local artists on the Dillo Day main stage after winning in the annual Battle of the DJs and Battle of the Bands earlier this month. Prez Harris & Friends claimed first place in Battle of the Bands. Weinberg senior Jin No and McCormick freshman William Ouyang, who call themselves “Onnij & Ouyang,” won this year’s Battle of the DJs. 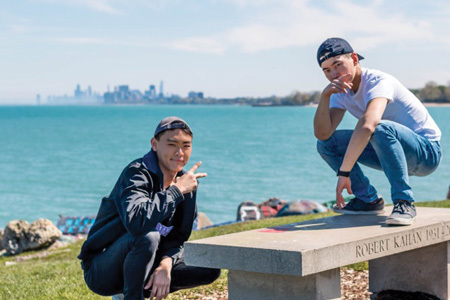 Harris adopted the name Prez Harris his freshman year, then joined with Bienen dual-degree fifth year Frank Lin — whose DJ name is Frnkln — his junior year, planting the seeds for their band Prez Harris & Friends. He released his first mixtape, “State of The Union”, in January 2015, and has performed in Chicago, Michigan and Wisconsin. Harris said he spent his sophomore year taking every opportunity to perform on campus, even in the Sargent Dining Hall, he said. Eventually, he was able to build his brand and ended up earning second place in that year’s Battle of the Bands. The following year, he joined a Mayfest committee, disqualifying him from competing. Still, that didn’t prevent him from performing at Battle of the Bands as a guest artist. Crowd participation is a big component of Harris’ performances, as one of the major themes in his music is unity, he said. He teaches the crowd the lyrics and encourages the audience to sing along. He also takes advantage of the diverse components of his band, which includes two dancers, to provide a high-energy performance. A native of Maywood, Illinois, Harris said his biggest inspiration behind his music is his family. His music focus on issues in Chicago, especially race relations, but also around the world. The song Harris refers to is “The Wall”, which is on his upcoming EP “A Different World”. He said the name of the album comes from the 1980s and 1990s sitcom of the same name, in which Denise from “The Cosby Show” goes to college. Harris said as he was watching the show, he recognized many contemporary social problems depicted in the late ’80s and early ’90s. After meeting at a DJ event fall quarter, No and Ouyang decided to collaborate as a duo for a chance to perform at Dillo Day. They promoted themselves on social media and through word of mouth to gather as much support as they could, Ouyang said. No said since they only had 20 minutes during Battle of the DJs, their setlist was “just bangers after bangers.” Since they have an entire hour for Dillo Day, they can experiment with different styles without the pressure of time and competition, No said. Ouyang first started DJing his freshman year of high school, and slowly gained experience through performing at school parties and formals, he said. No, on the other hand, picked up DJing last year from a friend in his fraternity, Beta Theta Pi. For him, it became a “fun and therapeutic” hobby, he said. Both No and Ouyang are uncertain about the future with regards to DJing, but both said they expect it to remain a big part of their lives. No plans to go into consulting after graduating, but will “definitely continue mixing past graduation,” he said. Ouyang plans to pursue a career in finance, but, as he is still a freshman, would be open to any opportunities that come along to make DJing a bigger part of his life, he said. Communication senior Joe Salwen, Mayfest’s co-director of promotions, said the Battle of the DJs and Battle of the Bands are a tradition to showcase the musical talent of on-campus student groups. When selecting a winner for Battle of the Bands, the judges look for someone who will be able to draw a group and get people to the Lakefill early on Dillo Day, Salwen said. Ouyang said a big part of “Onnij & Ouyang’s” identity is simply to have fun, and he hopes that the the future winners of Battle of the DJs share the same value.